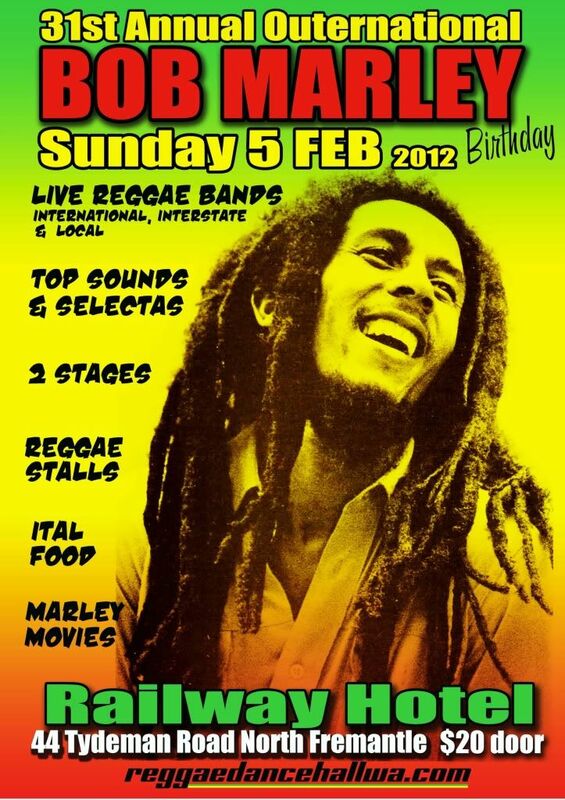 Reggae stalls, food, Bob Marley movies AND MORE! Once again this year we are proud to be supporting Oxfam, with part proceeds being donated to their East African Crisis Fund. For more info, call 0411 22 9258 or 0447 397 854. OH WOW! This looks fantastic! Is there anyway my wife could sell a few of her crotcheted reggae hats? They are in red gold and green. She has also made a few where she stuffs her old stockings full of rag and stitches them to the inside so it looks like dreadlocks. Maybe we could set up a little stall? Do you think this may be possible? 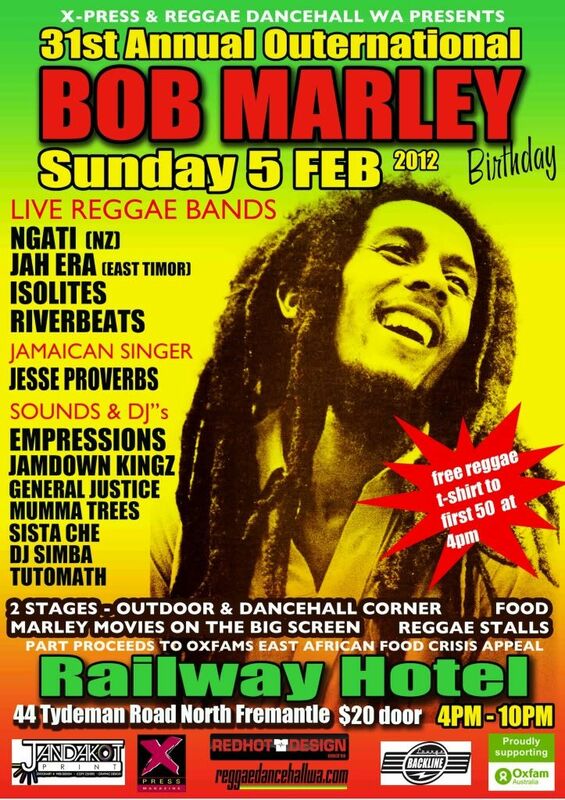 Your enthusiasm for reggae music is great, but it needs to be followed up by more research to create some overstanding. Dreadlocks are a physical manifestation of a rastamans covenent with the Almighty, (from the bible). Not a joke ting. These kind of "fake dreadlock hats" are offensive and carry overtones of racism ala black and white minstrals. Many rastas have been beaten and imprisoned in the past, for their spirituality and beliefs, and Jamaican culture and Rastafari is worthy of respect. Your intentions may be good, but ignorance is offensive. After reading these I hope you will reconsider your avatar also. To associate a rastaman with a monkey is racist and hugely offensive. New addition to the bill !